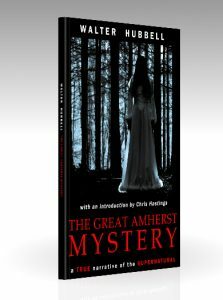 The Great Amherst Mystery by Walter Hubbell was originally published in 1888 and told the extraordinary true story of supernatural events he claimed to have witnessed while staying in a house plagued by poltergeists. Hubbell’s book was a sensation with the late Victorian public which was so much affected by anything that appeared to give some proof that there was life after death. The book went into several editions over the following years and sold over 55,000 copies. Senlac Hill Publishing has now produced a modern edition of Hubbell’s work, based on the 8th edition which contained much new material. SHP’s edition contains an introduction by Chris Hastings which helps the modern reader to understand more of the context and explains terms such as vital magnetism which Hubbell was able to take for granted with his readers but which most people today would not understand. These events took place in the then tiny community of Amherst in Nova Scotia, Canada. Walter Hubbell was a touring actor who came to hear of these events which were being reported in local Canadian newspapers. Claiming to be a debunker of fake mediums and spiritualists, Hubbell was resolved to expose Esther Cox, the 18-year-old girl at the heart of the events in Amherst, as a fraud. His investigation, which included staying for six weeks in her family’s house, led him to become a fervent believer in the reality of an after-life and the truth of Esther’s story. 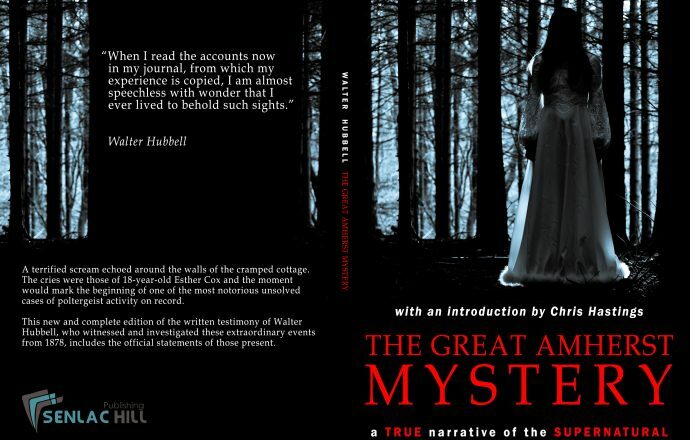 SHP’s new edition of Walter Hubbell’s book is available on AMAZON for £4.53 and on other Amazon sites internationally.